Mark your calendars – the Nationally Acclaimed Missoula’s Children’s Theatre will be returning once again to the Arcadia. Tryouts begin on a Monday, July 9, 2018, with cast members and crew members announced. Practices will be conducted the entire week – one-morning session and one-afternoon session. The final performance will be on Saturday, July 14, 2018, at 3:00 pm and 7:00 pm. Tickets can be purchased by calling the Box Office at 814-467-9070, Monday through Friday or stopping by in person. Ticket Prices: $8.00 in advance, $10.00 the day of the show. 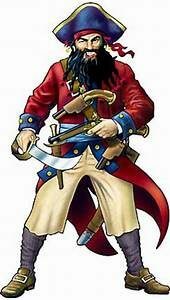 This year’s play – Blackbeard the Pirate!